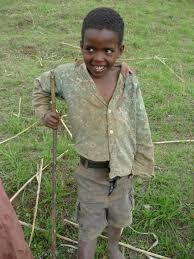 Help the kid of Tanzania know the word of God. (Matthew 19:14). The Bible Society of Tanzania has the responsibility to reassure the word of God to reach all people wherever they are in the language they understand and at the price they feed. Children are a group that needs to be reached to enable the future generation to have a foundation of faith. The Bible Society of Tanzania has prepared and has provided various texts for children, prospects and applications of the Bible Society is to see many children being reached by God’s word. It is the responsibility of parents to devote themselves to teaching them spiritual things and good things. Christian teachings are intended to build children’s foundation of faith and to keep them away from evil things; so be in the fear of God. Parents should show their children how to look for their own God to make them rejoice over the spiritual things God is doing for them; they will never be able to forget even though they are adults or adults. “He will not give up”. According to this principle, a child who has been taught the Word of God and his parents can not abandon the direction he or she has directed. To provide 5000 free Bibles to children in Tanzania. 1.There will be positive behavior change among children. 2. Reduction of chaos in the children. 3. Children will gain direction and meaning for their life while in children. 4. It will help children to have peace of mind especially those orphans.